Navy is always a popular colour for weddings and our navy silk margherita boxes are right on trend. This box and lid design is trimmed with 3 pretty ivory margherita flowers with diamante centres and finished with an ivory organza satin edge ribbon with fine gold thead. 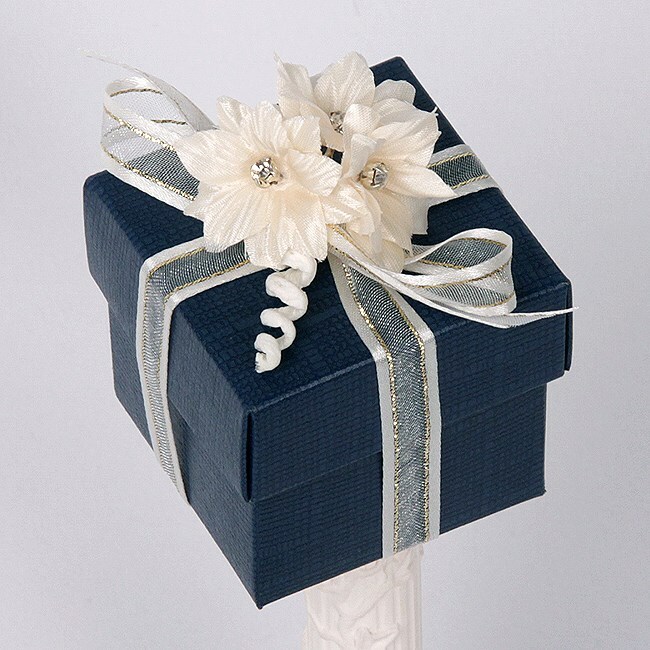 A truly stunning wedding favour. Box size: 5cm x 5cm x 5cm.